When unpacking the machine, remove the plastic film, water tank, drip tray, and capsule container. Adjust the cable length and store the excess in the cable guide under the machine. NOTE: to turn off the machine, press Lungo and Espresso button for 2 seconds. Rinse the water tank before filling with potable water up to maximum level. Plug machine into mains. 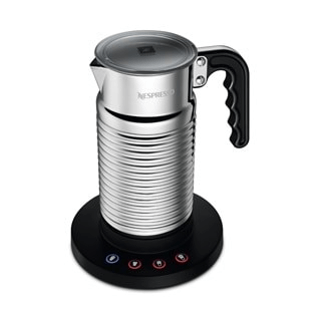 Rinsing: place a container under coffee outlet and press the Lungo button. Repeat three times. INFO: Machines are fully tested after being produced. Some traces of coffee powder could be found in rinsing water. 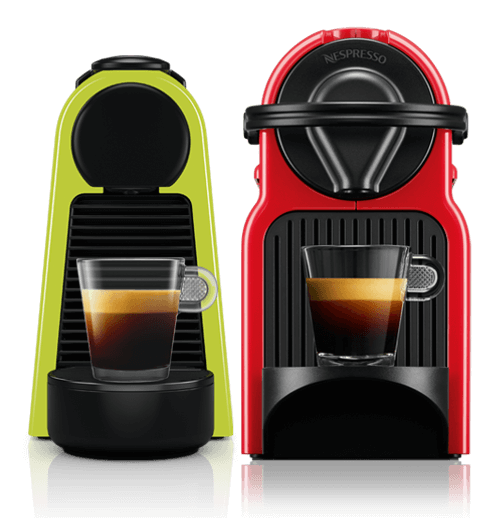 Press the Espresso (40 ml) or the Lungo (110 ml) button. Preparation will stop automatically. To stop the coffee flow or top up your coffee, press again. Lift and close the lever to eject the capsule into the used capsule container. NOTE: during heat up, you can press any coffee buttons. The coffee will then flow automatically when the machine is ready. Remove the milk container by pressing the button on the side of the milk jug. Unplug the aspiration tube. Press the button on the side of milk jug and pull to unlock the rapid system connector. Close the milk container and connect the Rapid Cappuccino System to the machine. Machine heats up for approximately 15 seconds (blinking lights). INFO: The milk system has not been designed to work with vegetale milk. For a perfect milk froth, use skimmed or semi-skimmed cow milk at refrigerator temperature (about 4° C). NOTE: the Rapid Cappuccino System does not work with water. Lift the lever completely and insert the capsule. Close the lever. Place a Cappuccino cup or a Latte Macchiato glass under the coffee outlet and adjust milk spout position by lifting it up to the right level. Press the milk button. NOTE: all milk will be used for the drink. At the end of the preparation, the clean alert illuminates orange to indicate it is necessary to clean the Rapid Cappuccino System. INFO: The preparation starts after a few seconds (first milk and then coffee) and will stop automatically. Lift and close the lever to eject the capsule into the used capsule container. After a period of non use of maximum 30 minutes after your milk recipe preparation, disassemble the Rapid Cappuccino System, and clean all components in the upper side of your dishwasher. In case a dishwasher is not available, refer to section "Hand washing of Rapid Cappuccino System." Refer to section “Assembling / Disassembling of Rapid Cappuccino System”. The Rapid Cappuccino System is not intended to be stored in the fridge. 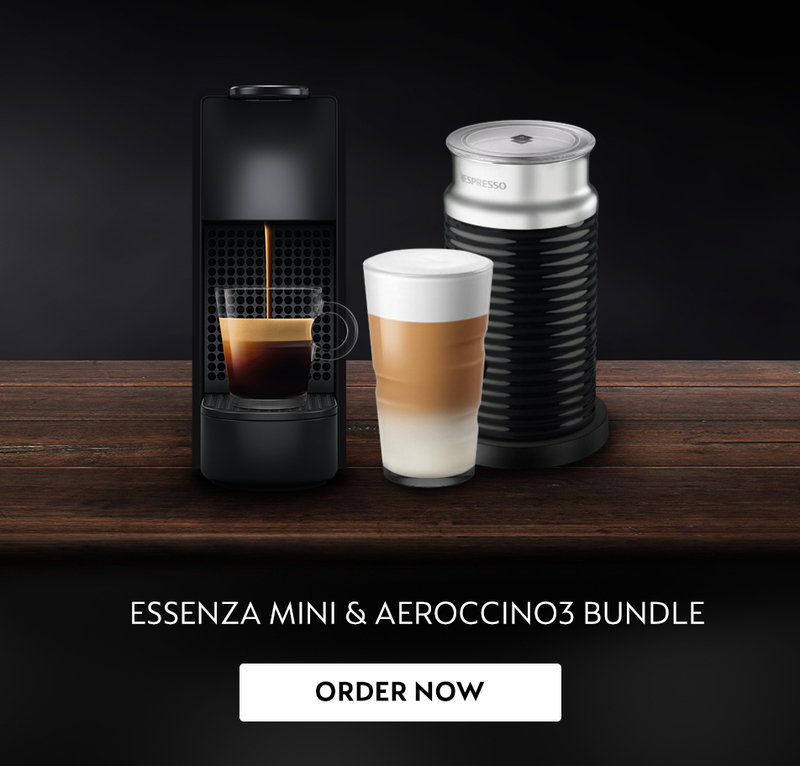 Touch and hold Espresso or Lungo button for at least 3 sec to enter the programming mode. Brewing starts and button blinks fast. Release button when desired volume is reached. Coffee volume is now stored for the next coffee preparations. Button blinks 3 times to confirm the new coffee volume. NOTE: please refer to factory settings section for min / max programmable quantities. Lift and close the lever to eject the capsule into the used capsule container. Remove drip tray, capsule container. Empty and rinse. Remove water tank. Empty, rinse it before filling with potable water. Lift and close the lever to eject the capsule into the used capsule container. Place a container under coffee outlet and press the Lungo button to rinse. Clean the coffee outlet with a clean damp cloth.Place a container under coffee outlet and press the Lungo button to rinse. Clean the coffee outlet and machine surface with a clean damp cloth. INFO: Do not use any strong cleaning agent or solvent cleaner. Use a clean damp cloth and mild cleaning agent to clean the surface of the machine. Do not put any machine components in dishwasher, except the Rapid Cappuccino System components. Clean the interior of the milk tank with mild/soft detergent and rinse with hot potable water (40°C/104°F). Do not use abrasive material that might damage the surface of the equipment. * Ensure air inlet is clean. Dry all parts with a fresh and clean towel, cloth or paper and reassemble. INFO: When a dishwasher is not available, the Rapid Cappuccino System components can be washed by hand. The procedure must be performed after each use. Switch the machine ON. NOTE: Remove milk jug. Press the milk button for 3 seconds to enter Menu mode: descaling and clean alert start blinking. Press the milk button. The milk button blinks to indicate reset mode. Press it to confirm. All buttons blink 3 times: all volumes are reset. The menu exits automatically and machine returns to ready mode. NOTE: the Menu mode exits automatically after 30 sec if no actions are performed or can be exited manually by pressing milk button 3 seconds. CAUTION: if coffee volumes higher than 150 ml are programmed: let the machine cool down for 5 minutes before making the next coffee. Risk of overheating! NOTE: the milk froth volume depends on the kind of milk that is used and its temperature. Descale the machine when descaling alert shines orange in ready mode. NOTE: descaling time is approximately 20 minutes. 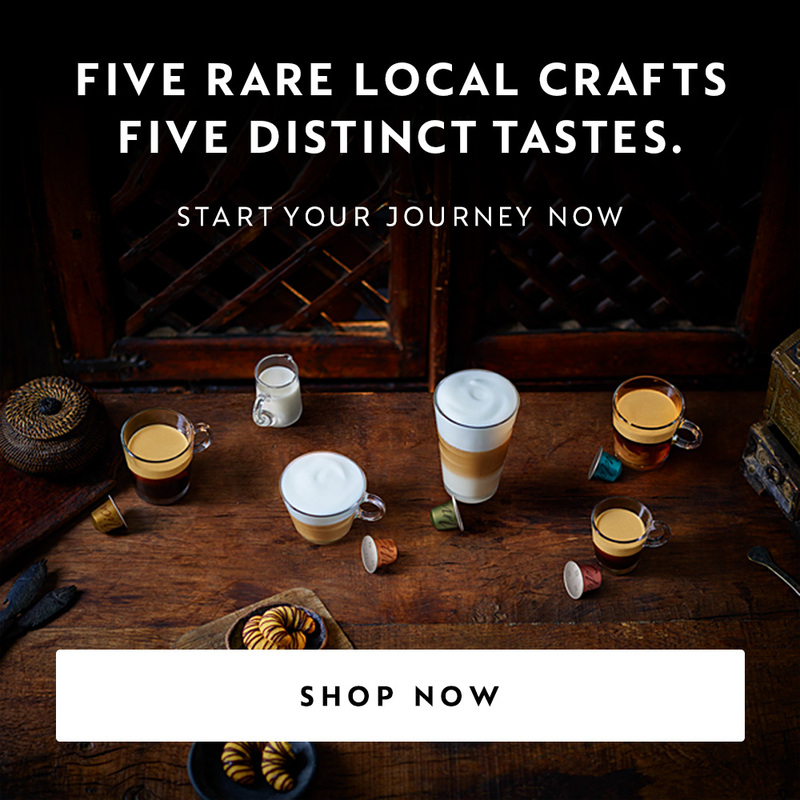 To ensure the proper functioning of your machine over its lifetime and that your coffee experience is as perfect as the first day, follow the below process. Empty the drip tray and the used capsules container. Fill the water tank with 100 ml of Nespresso descaling agent and 500 ml water. Take the descaling pipe situated at the back of the machine and plug the descaling pipe into steam connector of machine. Press the Espresso button. Descaling product flows alternately through the coffee outlet, descaling pipe and drip tray. When the descaling cycle is finished (water tank runs empty), the Espresso button shines. Empty the used capsules container, drip tray recipient and container, rinse out and fill the water tank with fresh potable water up to level MAX. Press the Espresso button again. The rinsing cycle continues through the coffee outlet, descaling pipe and drip tray until the water tank turns empty. Once the rinsing process is finished, the machine switches off. Remove and store descaling pipe. Empty drip tray and used capsules container. Fill water tank with potable water. Take water hardness sticker placed on the first page of the UM and place it under water for 1 second. NOTE: the Menu mode exits automatically after 30 sec. if no actions are performed. It can be exit manually by pressing the milk button for 3 seconds. Press the milk button for 3 seconds to enter Menu mode: descaling and clean alerts start blinking. Now, within 15 sec, you can set the desired value by pressing the corresponding button. They blink 3 times rapidly to confirm new value. The menu exits automatically and machine returns to ready mode. Switch on machine. NOTE: remove milk jug. Remove the water tank. Lift and close the lever to eject any remaining capsule. Place a container under the coffee outlet. Press the milk buttons for 3 seconds to enter Menu mode: the descaling and clean alerts start blinking. NOTE: the Menu mode exits automatically after 30 sec. If no actions are performed. It can be exit manually by pressing the milk button for 3 seconds. Press milk and Lungo buttons simultaneously. The milk button blinks for confirmation. Once pressed, the emptying starts. The coffee buttons blink alternately: emptying mode in progress. When the process is finished, the machine switches off automatically. NOTE: appliance will be blocked for approximately 10 minutes after emptying. Switch on machine. NOTE: remove milk jug. INFO: The appliance switches off after 9 minutes after last use (factory settings). Press the milk button for 3 seconds to enter Menu mode: the descaling and clean alerts start blinking. NOTE: the Menu mode exits automatically after 30 sec. If no actions are performed. It can be exit manually by pressing the milk button for 3 seconds. Now, within 15 sec, you can set the desired value by pressing the corresponding button. They blinks 3 times rapidly to confirm new value. The menu exits automatically and machine returns to ready mode. Automatic Power Off: Milk (9 minutes), Lungo (30 minutes), Espresso (8 hours). Check the mains, plug, voltage, and fuse. 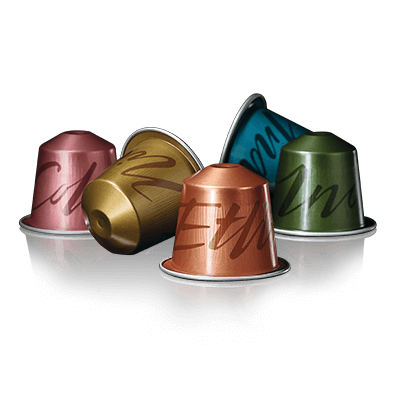 If problem persists, call the Nespresso Club 1500498 (Monday to Friday, 9am – 6pm). In case of problems, send appliance to repair or call the Nespresso Club 1500498 (Monday to Friday, 9am – 6pm). Position capsule correctly. 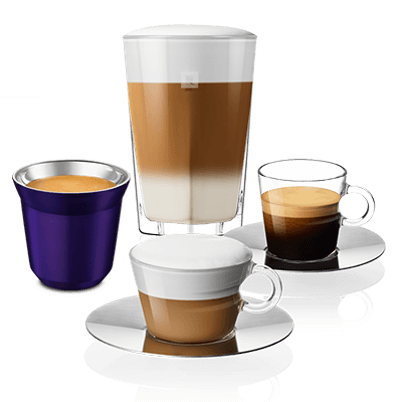 If leakages occur, the call Nespresso Club 1500498 (Monday to Friday, 9am – 6pm). Error alarm, machine needs repair. 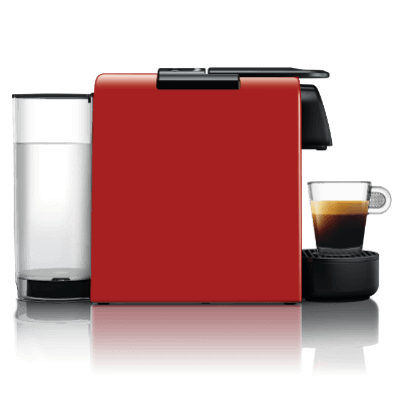 Send appliance to repair or call Nespresso. All 3 buttons blinking fast 3 times and then machine goes back in ready mode. Machine is in menu mode, press milk button for 3 seconds to exit menu mode or wait 30 seconds to exit automatically. Machine triggers descaling alert according beverages consumption usage. Descale machine. Machine is in Descaling mode. Press milk button to start descaling process. isassemble the Rapid Cappuccino System and clean all components in the upper side of your dishwasher. In case a dishwasher is not available, refer to section "Hand washing of Rapid Cappuccino System". Machine overheat, wait until machine cools down. Use skimmed or semi-skimmed cow milk at refrigerator temperature (about 4° C). Rinse after each milk preparations (see section "Hand Washing of Rapid Cappuccino System"). Descale the machine (see p.23). Ensure the air aspiration part is clean. Refer to the section "Hand washing of Rapid Cappuccino System". Be sure to press milk button for 3 seconds. Milk system does not start. Fill up with minimum 30 ml of milk. The milk system does not work when filled with water. The milk system has not been designed to work with vegetale milk (rice, etc). Milk jug cannot be dismantled. Press the button on the side of the milk jug to remove the parts. Refer to section "Assembling/Disassembling of Rapid Cappuccino System". Press Espresso and Lungo button for 2 seconds. Sound when machine switches off. This sound indicates that the machine is now off.